If the home page of your browsers has been changed to mystartsearch.com, you must have confirmed the change yourself. 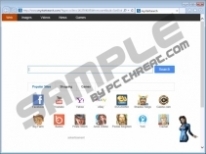 Even though some malware researchers identify the search tool as a browser hijacker, the truth is that it is unlikely to enter the system without authorization. Of course, in some cases the search tool may be presented in a clandestine manner, and you may install it by accident. 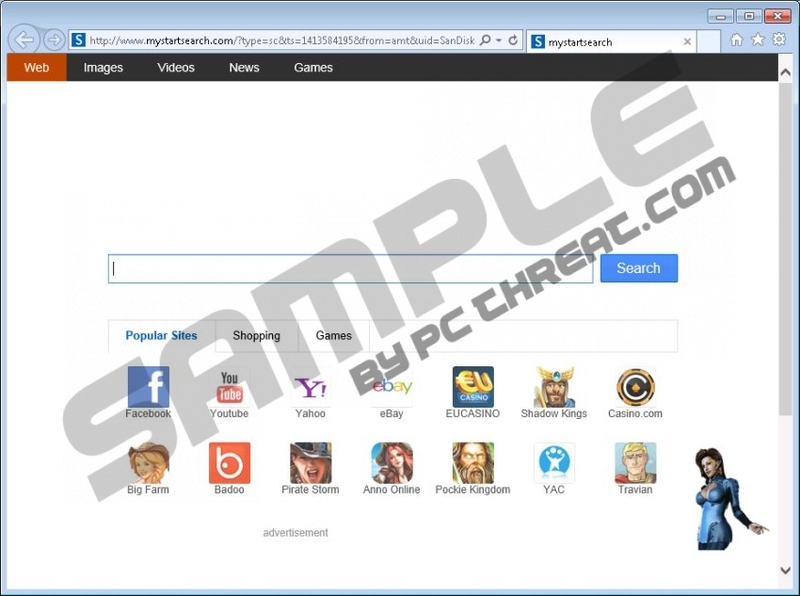 All you need to do to remove mystartsearch.com from the browsers is follow our comprehensive removal guide. The search engine mystartsearch.com does not seem malicious; however, it certainly does not mimic other, more popular search tools. First of all, the search provider lists a number of easy-access links to third-party websites, like facebook.com, badoo.com and 337.com. Secondly, instead of presenting original search results, mystartsearch.com actually redirects to google.com. Lastly, the search tool presents banner advertisements, and because of all this we recommend having mystartsearch.com deleted. If you do not remove the hijacker, it is likely that you will endanger your own virtual security. Mystartsearch.com comes from the same family as qone8.com, webssearches.com, istart123.com, and other questionable search tools. We have prepared individual removal guides for each one of these programs, and you can find them using the search box on the right. Keep in mind that mystartsearch.com removal is unlikely to be the only task you need to perform. It is quite possible that you will need to delete Quick Start, Fast Start and SupTab extensions. Furthermore, you may need to delete third-party programs which often travel bundled together. The main reason you should delete mystartsearch.com from the system is the unreliable advertising. As our researchers have discovered, you may be introduced to banner and pop-up advertisements presented via suspicious adware servers, like ams1.ib.adnxs.com. Keep in mind that adware servers may enable the presentation of various different parties, and so you should not trust them blindly. Even seemingly alluring offers may turn out to promote unreliable services. If you choose to delete mystartsearch.com manually, you may notice that the program regenerates. This is because of the modified Target. If you follow the removal instructions below carefully, the unwanted search tool will be deleted in no time. If other more disturbing applications are running on the PC, and they might be installed alongside mystartsearch.com, you can leave their removal to authentic and reliable security software. Right-click on the Metro UI screen and click All apps. Right-click the program you want to remove and Uninstall it. Identify the program you wish to remove from the PC, right-click it and select Uninstall. Navigate to the left of the Task Bar, click Start and select Control Panel. Find the undesirable application, click it once and select Remove. Select Manage Search Engines and Remove the undesirable search provider. Click OK. Locate the undesirable extension, click the Remove button next to it and restart the browser. In the menu on the left click Toolbars and Extensions and Disable the unwanted ones. Click Close. Open the browser, simultaneously tap Alt+F and then select Settings. Overwrite/remove the undesirable URL and then click OK. Under Appearance mark Show Home button, click Change and follow step 3. Click X placed on the URL of the search tool you wish to remove and click Done. Quick & tested solution for mystartsearch.com removal.